A romantic triangle drama-comedy with a competing sub-plot about academic freedoms, The Male Animal is never exactly sure what it is and ends up being not much of anything. Midwestern University is gearing up for the big football game against rivals Michigan. 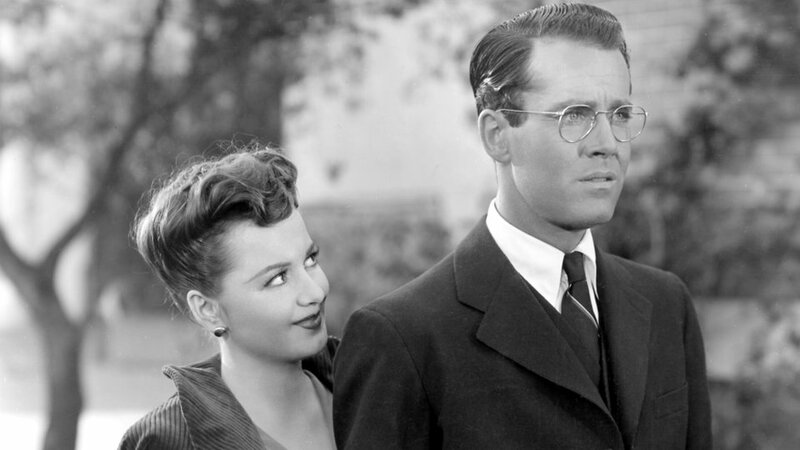 Bookish English professor Tommy Turner (Henry Fonda) has no interest in the frenzy of football-related events, but he is married to former cheerleader Ellen (Olivia de Havilland), and she wants to get into the swing of things. 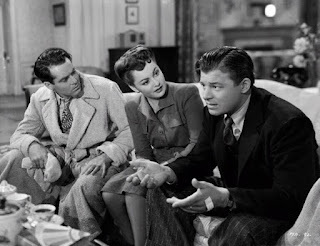 Ellen's ex-boyfriend and the school's legendary former quarterback Joe Ferguson (Jack Carson) shows up for homecoming week, and his immediate rapport with Ellen further sours Tommy's mood. Meanwhile, the university administration under the leadership of Ed Keller (Eugene Pallette) is on a witch hunt to label professors as "reds" and weed them out. When the school newspaper reveals that Tommy will be reading a letter from deceased anarchist Bartolomeo Vanzetti as part of his next lecture, he is immediately dropped into a controversy about academic freedoms. With the big game approaching and his marriage comprehensively falling apart, Tommy has to reassess his life's priorities. Directed by Elliott Nugent and based on a play, The Male Animal has a few good ideas, some witty dialogue, and a typically principled performance from Henry Fonda. The prescient look ahead towards a near future when thoughts are scrutinized and leftist tendencies signal career death is also commendable. But the film suffers from an identity crisis and an overcrowded agenda. About half the story focuses on the Tommy-Ellen-Joe romantic triangle, while the other half is distracted by the seemingly more serious narrative about defining and defending academic freedoms. By the end of the film the muddled intermingling of the two plot lines means that neither is dealt with satisfactorily. There are other issues that stand in the way of Nugent's success. Olivia de Havilland is simply unconvincing as a former cheerleader seeking to relive the fun times of youth. de Havilland comes across as too prim and proper, and other than reciting lines from a script, never genuinely reveals an inner fun girl wishing to break out. As the critical corner of the triangle, her miscasting fundamentally weakens the movie. The Male Animal is also littered with poorly defined ideas and fragments of characters. There is yet a third sub-plot revolving around the next generation of students, including a young nerdy student following in Tommy's footsteps, a dim current member of the football team who idolizes Joe, and a couple of girls vying for their attention. This maybe romance among the young is never properly defined and is eventually unceremoniously discarded. Meanwhile, Tommy's character spends a long time drunk and dragging out literary references about how animal mating and turf protection rituals apply (or not) to human relationships. A drunken fistfight is thrown in for good measure. The Male Animal is not devoid of points of interest, but it's a scattershot of poorly handled ideas rather than a cohesive package.